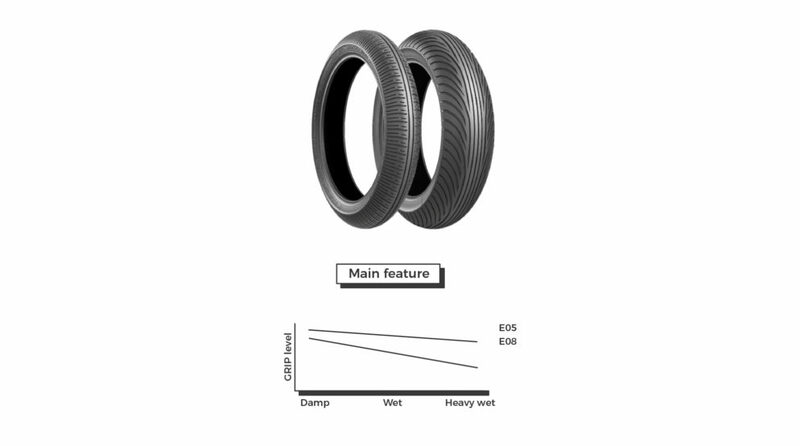 Top level racing turbocharges tyre development. 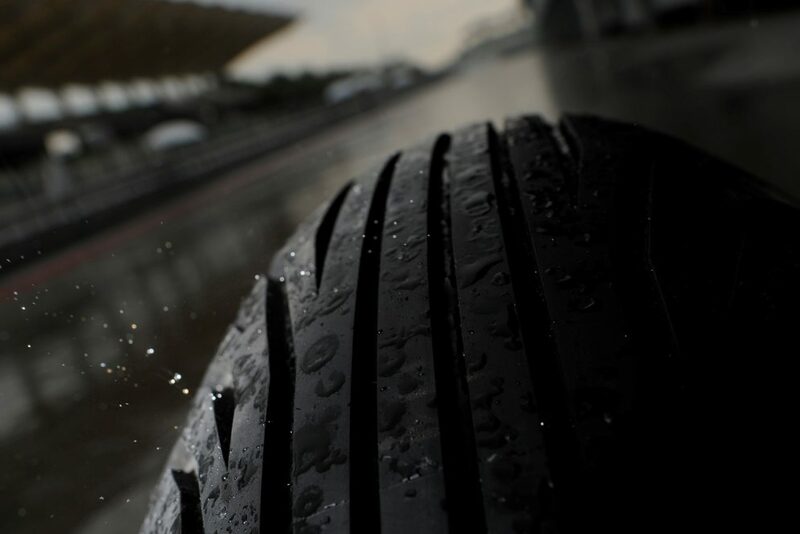 Especially in situations where extreme performance meets extreme conditions, like wet weather racing. 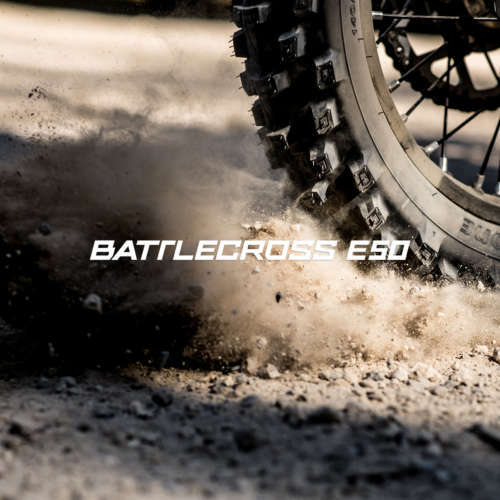 All the experience Bridgestone has gathered here trickles down into the new Racing Battlax W01 - a direct spin-off from years of highest racing activities. Think feeling. Think grip. Think confidence. With Racing Battlax W01, every cloud has a silver lining. 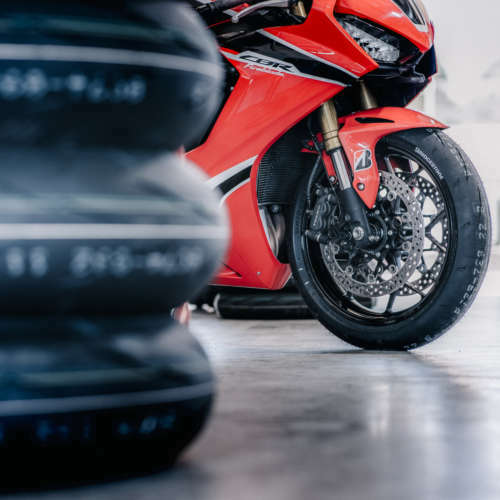 • Improved grip and feedback, from a damp track all the way up to heavy rain. 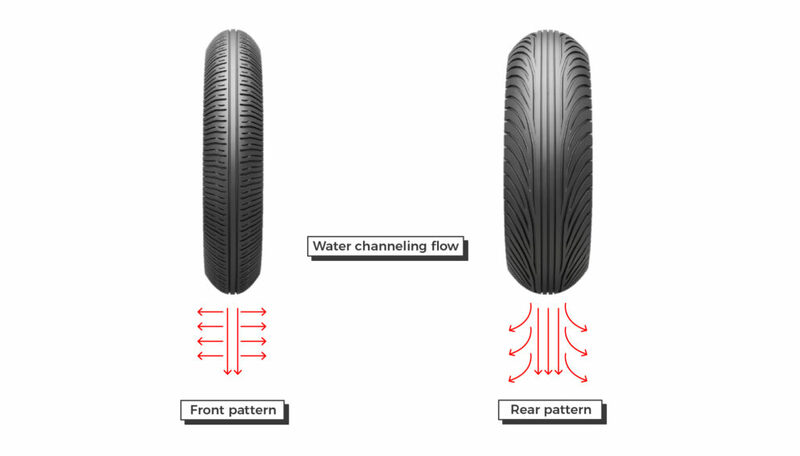 • Improved water channeling for the rear tyre, with a groove positioning in the same direction as the water flow. Track test data confirms the quick warm-up time of W01. Right from the first laps, the average lap time improves 1,5%. On a 2.00 minute laptime, this translate into respectively 2,0 seconds.